Stratovolcanoes Research Papers go into the characteristics of this type of volcano. This is a Stratovolcanoes suggestion on Stratovolcanoes from Paper Masters. Use this Stratovolcanoes or order a custom research paper, written exactly how you need it to be. Much of the magma produced by stratovolcanoes (and much of their structural components) is andesite, a composite usually between 52 and 63 weight percent silica (silicon dioxide or ordinary sand). Andesite magma commonly erupts from stratovolcanoes as thick lava flows, some reaching several km in length. Much of the magma produced by stratovolcanoes (and much of their structural components) is andesite, a composite usually between 52 and 63 weight percent silica (silicon dioxide or ordinary sand). Andesite magma commonly erupts from stratovolcanoes as thick lava flows, some reaching several km in length. Andesite magma can also generate strong explosive eruptions to form pyroclastic flows and surges and enormous eruption columns. Andesites erupt at temperatures between 900 and 1100° C.
The name is a result of the interlaying of the structure. Also known as composite cones, stratovolcanoes are the most common type of volcano on Earth. The lava in stratovolcanoes is highly viscous, thereby it cools and hardens before spreading very far, which creates a steep slope near the summit. Mount Saint Helens, Mount Fuji and Mount Etna are three of the most widely known stratovolcanoes. Stratovolcanoes can be found throughout the world. Most commonly they occur along subduction zones, particularly around the Pacific Ocean in an area referred to as the Ring of Fire. In the Americas, the Ring of Fire includes the high peaks of the Andes Mountains in South America and the crest of the Cascade Mountains in the Pacific Northwest U.S. It also forms the Aleutian Islands in Alaska. Stratovolcanoes are characterized by highly explosive Plinian eruptions. Andestic magma is produced as a result of rocks melting in the overlying crust while the oceanic crustal lithosphere subducts. Depending on its silica and water content, this magma either stiffens and erupts into cinders, ash and bombs or it surfaces as highly acidic lava. The pyroclastic flows from the eruptions are composed of hot volcanic fragments and toxic gases that rush down slopes at speeds comparing to hurricane force winds. Stratovolcanoes differ from shield volcanoes in a few significant ways. Unlike shield volcanoes, stratovolcanoes are smaller and erupt less frequently, with typical repose intervals of one hundred years between eruptions. While stratovolcanoes do not reach the enormous size as shield volcanoes do, they are much steeper. The most distinguishing difference between the two types of volcanoes is that shield volcanoes do not have explosive eruptions, instead fluid lava flows very easily down their slopes. The tectonic environment associated with subduction zones is where stratovolcanoes form. More specifically, stratovolcanoes are a result of magma generated by heat and stress in colliding tectonic plates (where one plate descends beneath an adjacent plate) that is forced upwards with a pressure that generates explosive eruptions. Mount Shasta - Mount Shasta Research Papers discuss the formation of this mountain, and location. 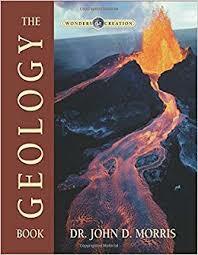 Hawaiian Volcanoes - Stratovolcanoes Research Papers go into the characteristics of this type of volcano. Earth Sciences Research Paper topics are listed to help students get started on a research project in the Earth Sciences. Minerals - Minerals Research Papers explore the ways that minerals can be formed, and their characteristics. Earth Sciences - Explain how the patterns of volcanoes and earthquakes related to plate tectonics. Mount Shasta Research Papers discuss the formation of this mountain, and location. Paper Masters writes custom research papers on Stratovolcanoes and go into the characteristics of this type of volcano.